Lately, this rainy weather has inspired us to channel Spring with our designs in hopes that it’ll come sooner. We wanted to give you a few options that reflect the gorgeous Spring Weather we’ve been day dreaming about for DAYS. These accessories are Nature-inspired and are guaranteed to bring some Spring warmth to your home. This lovely turquoise lattice rug will lighten up a room. This yellow pillow is the color of the Spring sun! Add some brightness to a sofa or chair. This yellow mirror is another great bright accessory. One of the best Spring colors is GREEN. This table lamp is gorgeous! These beautiful throw pillows are all fun patterns in colors found in Spring. Spring is almost here! Get your house ready for Spring with these adorable bright accessories! 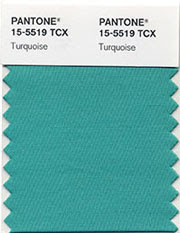 Turquoise is a combination of calming blue and refreshing green. The color is one that most of us respond to in a “good” way. It is flattering to all and translates well in your home and your closet. Turquoise is a nice pop of color with neutrals, browns, reds and pinks and deep blues.